Most of unsafe open Wi-Fi networks can be found in airports and hotels. There is the chance that you log in to a hotspot of a malicious greatest. That's Janne Pirttilahti, Director of Product Management Next Gen Security at F-Secure, said Tuesday. Pirttilahti demonstrated during Wifi Now in Amsterdam how easy it is to create a fake hotspot and people in the area to let the network use with the aim to steal private information from them. Hotels and airports are the easiest locations to set up fake hotspots around because there are a lot of businessmen or people who have to spend money, says Pirttilahti talking. "There are interesting targets, while falls in those locations do not like someone pops open a laptop with antennas. Sometimes it can even from a hotel room. But in a coffee shop is much faster suspicious." Research by F-Secure among UK consumers also shows that many consumers are well aware of the risks they run if they use public Wi-Fi networks. A whopping 52 percent of consumers surveyed avoid using public Wi-Fi networks because they are afraid that their personal information into the hands of hackers. 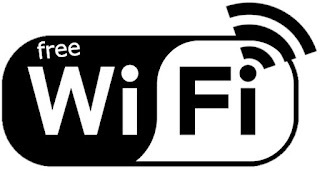 59 percent says open Wi-Fi networks not to use it because they are afraid of viruses or malware. Still, says nearly one in every three month to use at least once and sometimes daily public wifi networks. The advice is to at public Wi-Fi networks in any event using a VPN connection.